Ratnamani's 3LPE / 3LPP Coating is a multilayer coating composed of three functional components. This coating consists of first layer which is a high performance anti-corrosion fusion bonded epoxy [FBE] second layer of a copolymer adhesive for adhesion between the epoxy and PE / PP and an outer / third layer of polyethylene / polypropylene which provides mechanical protection. 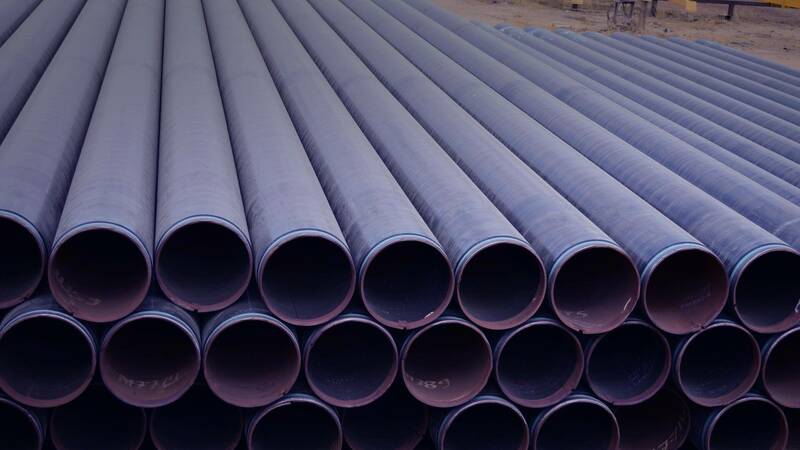 3LPE Coatings provide excellent pipeline protection for small and large diameter pipelines with moderate to high operating temperatures whereas 3LPP Coatings not only provides the toughest, and the most durable pipe coating solution but also provide excellent pipeline protection for small and large diameter pipelines with high operating temperatures. Ratnamani's FBE is single layer anti-corrosion coating which consists of high performance fusion bonded epoxy that provides excellent adhesion to steel and provides superior long term corrosion resistance protection of pipelines operating at moderate temperatures for the designed life. Excellent adhesion properties provide excellent resistance to cathodic dis-bondment which reduces the total cost of cathodic protection during the operation of the pipeline. 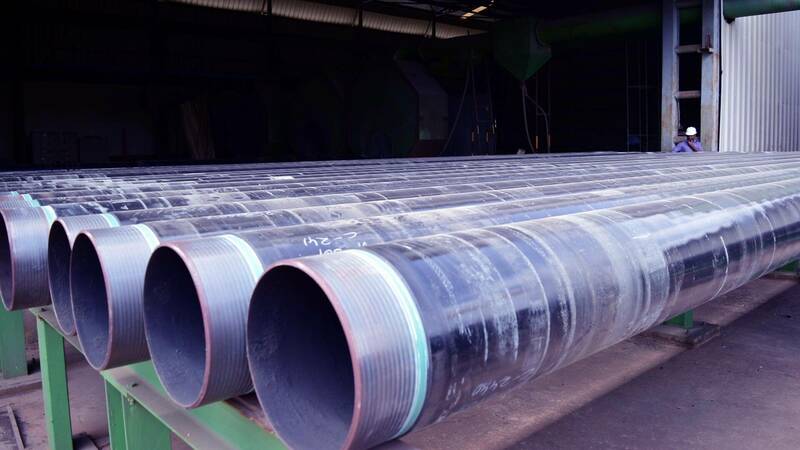 DFBE is a layer of anti-corrosion coating followed by abrasion resistant overcoat which provides excellent results for pipe being used in abrasive conditions. Pipes can be supplied as per Customer Specification also. Ratnamani's CTE plant is designed to apply a suitable Coal Tar Enamel [CTE] on the external pipe surface as per AWWA, BS or customer specified coating specifications. This CTE coating plant is used for corrosion & mechanical protection of Oil, Gas and Water Pipelines. Coal Tar Tape is applied in cold condition on the external pipe surface as per AWWA, BS or customer specified coating specifications. This tape coating system is used for corrosion & mechanical protection of Water Pipelines. Ratnamani does various types of External Coating / Painting for corrosion protection and insulation properties which can be applied by spray gun, brush or roller. Anti-Corrosive Coating Polyurethane [PU], Liquid Epoxy, Etc. Mixed mortar is directed under pressure against the steel surface of the pipe while wire reinforcement is placed throughout the pipe surface as per customer's specification to add strength. Once completed, water is sprayed as per the curing procedure and customer specification for guaranteed strength and protection. External Cement Mortar Lining is not only durable and inexpensive but also protects buried steel pipe for long-term service. © Ratnamani Metals & Tubes Limited. All Rights Reserved.